Company MIFIM, in cooperation with the ZDRAVY DOM architectural studio, has developed a energy-efficient home project HeLi. 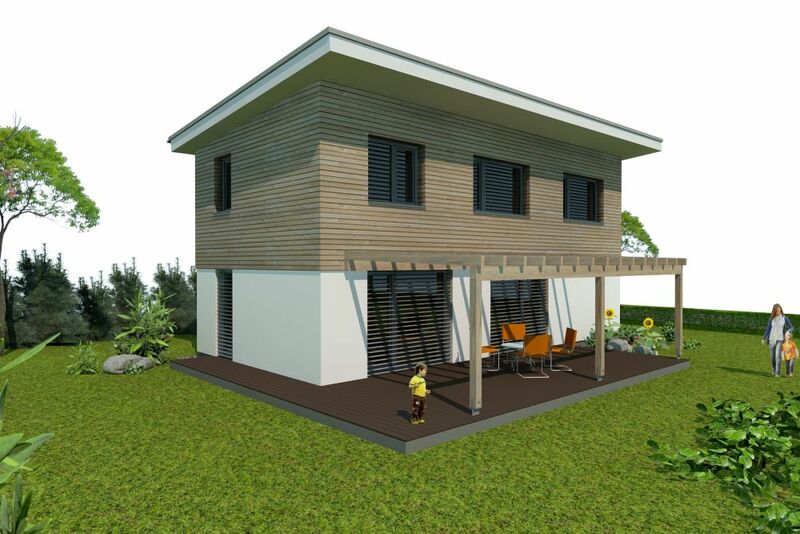 This type of energy-saving house is a small house designed for a 2-4 member family. 3 rooms on the first floor and spacious ground floor provide sufficient comfort for energy-saving and healthy living. The ground floor area is 59.85 m2. The total usable area is 115.18 m2. There is a spacious terrace on the south side and a shelter for 1-2 cars on the north side. This house is predestined into a plane, resp. slightly sloping terrain. The house is based on the base plate under which could be the thermal insulation, made of foam glass, extruded polystyrene. Both peripheral and internal non-load-bearing walls are made of masonry of lime-sand bricks in th.175 a 115mm. The horizontal structures are made up of two reinforced concrete ceilings in which the heating and recuperation wiring is embedded. The roof can be solved in two variants like countertop roof resp. straight insulated EPDM foil and stratified gravel. Central heating can be provided by a small gas boiler, a heat pump resp. electric infrared heating. Recovery of air can be provided, for example compact unit from NILAN resp. PAUL The thermal envelope of the house as well as the details are treated as an energy passive house. The total price for a 115.18m2 house in an energy passive standard is 115 180 EUR excluding VAT. 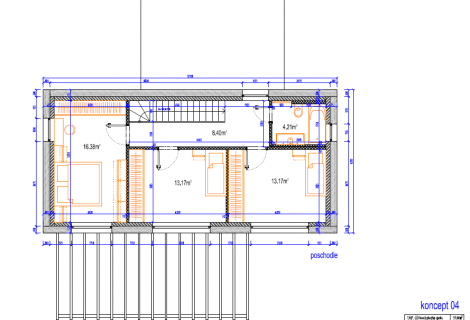 Company MIFIM, in cooperation with the ZDRAVY DOM architectural studio, has developed a energy-efficient home project HeLi.. The total usable area is 115.18 m2. 3 rooms on the first floor and spacious ground floor provide sufficient comfort for energy-saving and healthy living. The ground floor area is 59.85 m2. Small house designed for a 2-4 member family. There is a spacious terrace on the south side and a shelter for 1-2 cars on the north side. This house is predestined into a plane, resp. slightly sloping terrain. The thermal envelope of the house as well as the details are treated as an energy passive house. 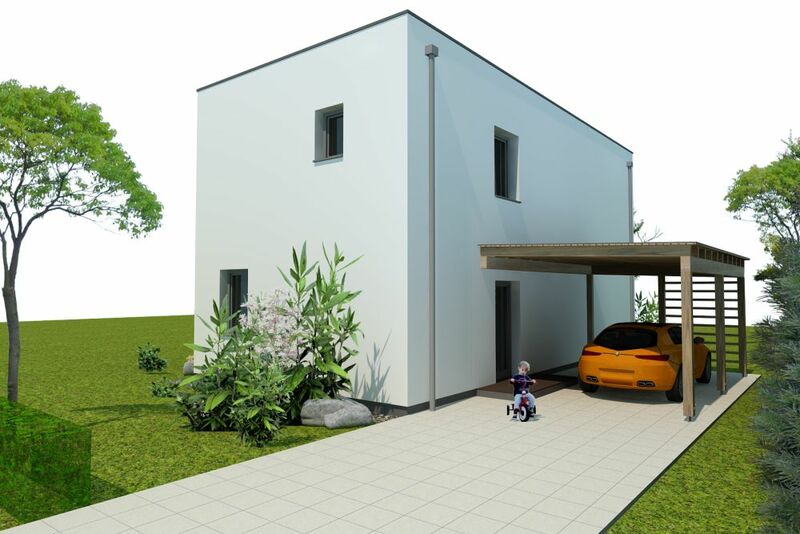 The total price for a 115.18m2 house in an energy passive standard is 115 180 EUR excluding VAT. If you are interested in building the above mentioned house do not hesitate to contact us.